Joss Whedon will direct the superhero ensemble starring Robert Downey Jr. 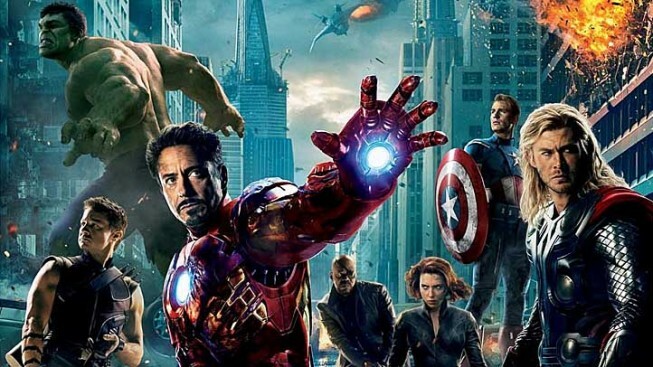 The Avengers sequel has been given a release date. Avengers assemble! Well, actually you have a little more time to munch on some shawarma, but keep your super-suits close by, as the highly anticipated sequel to the billion-dollar box office juggernaut officially has a release date. Walt Disney Studios announced today that Marvel Studios will release the follow-up to Robert Downey Jr., Chris Hemsworth and Scarlett Johansson's superhero ensemble film on May 1, 2015. It was recently announced that director Joss Whedon, the man behind the first film, will not only return to write and direct the Avengers sequel, but will also help develop a Marvel-centric show for ABC. Read all about how Robert Downey Jr. injured himself on the set of Iron Man 3! And if May 2015 seems like eons away, don't go all evil Loki on us. Because you'll have plenty of super-romps to hold you over until then, including Iron Man 3, Thor: The Dark World and Captain America: The Winter Soldier as well as Guardians of the Galaxy in 2014. And the 2015 release date officially pits Avengers 2 against what's speculated to be the release date for the long-awaited Justice League ensemble. Get ready for one heck of a super summer, folks!